Nature not only makes us more relaxed, energised and healthier, she makes us smarter too. 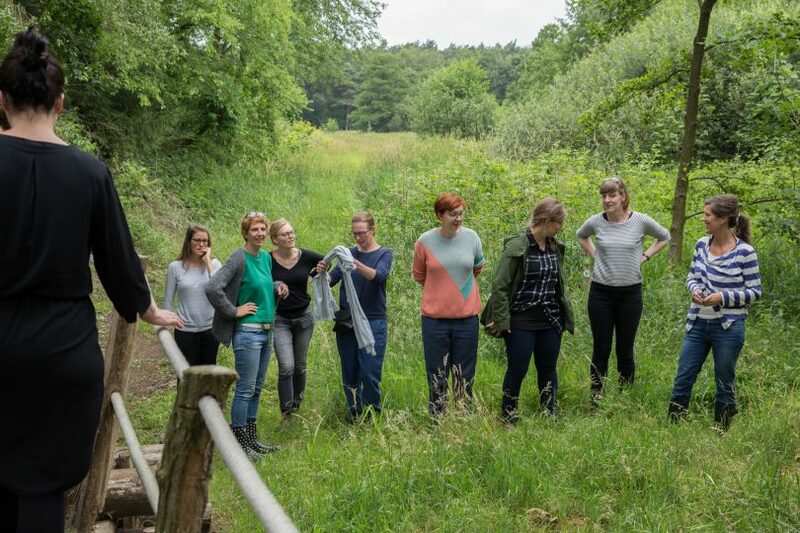 In June, I took a bunch of lovely ladies out to explore our garden ecosystem and to share the ingenious ways in which nature works. We zoomed in on some of the deep strategies in nature that have been successful for millions of years and how these inspired us to redesign our garden into an edible, natural ecosystem that draws down carbon and produces a whole lot of ecosystem services. Afterwards we dosed up on some more natural vitamins in a local nature reserve where I shared some more inspiring facts on the Wood Wide Web, the wonders of Mushroom and Tree Technology and how these are inspiring design, innovation and technology. It was a lot of fun and will definitely be repeated in the future!